1 BILLION OF THEM ARE BLOGS! Trust me when I say I’d LOVE to be able to tell you that getting noticed online is really simple. But the truth is; it can be really hard. The SIMPLE mistake I’ve seen made time and time again is that you create your blog from passion which is great! but you haven’t given yourself the foundations and drive needed for it to become a profitable and sustainable BUSINESS. I want you, no matter what stage you’re at right now, to have access to top quality content and expert advice - without it costing thousands. This is a safe place to learn, be supported and start your journey to blog for profit. 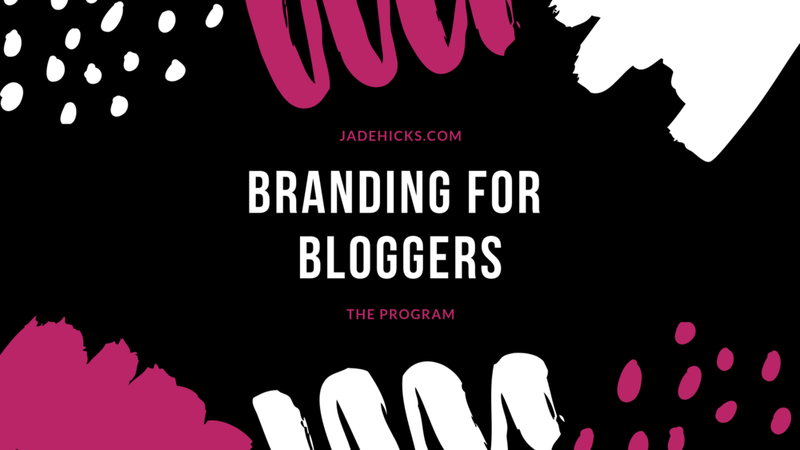 I was called to bring to life a program that not only covered everything you WANT to know about creating a KILLER blog brand; but all the other stuff you NEED to know too! 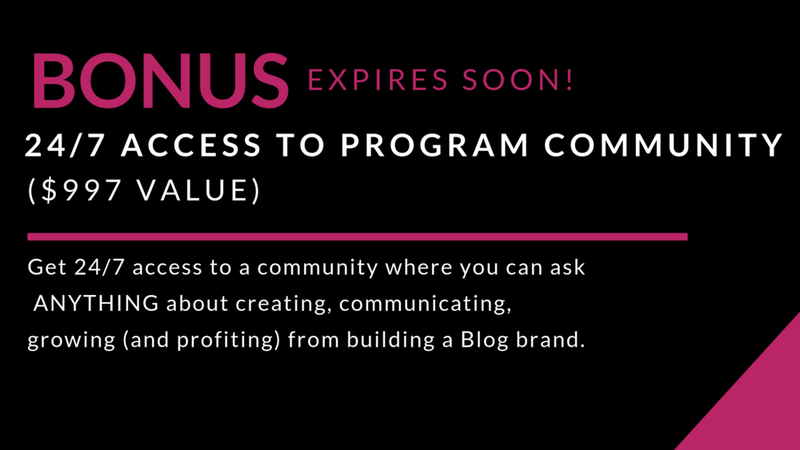 My goal is to see everyone who enters the program; to step up and own their blog as the business it is, make their way without frustration, confusion or overwhelm to achieve their dreams and have MAXIMUM IMPACT on their tribe while doing so. You’re sick and tired of trying to find answers on your OWN and are looking for consistent content and advice from someone you trust. You’re craving the opportunity to prove that your blog can bring in the $$$ and you’re ready to show the world how brilliant you are! You might not feel 100% about your direction or niche but know you have stories to tell and a huge amount of people you can help. You desire to create a life you dream of and have the impact you envision on your tribe or even the world! + Get CLEAR on Who you are, what you want your blog to be and how your readers want your blog to serve them. + Identify what makes you DIFFERENT from everyone else to give your blog the best shot at getting noticed. + NAIL DOWN where your blog is going and what you want to achieve. + LEARN how to get to know your reader inside and out. + CREATE a reader profile so you can solve their most pressing problems. + Pinpoint how to COMMUNICATE visually with your reader and know what they are looking for from your blog brand. + UTILISE your new found clarity along with your research to create a solid BLOG BRAND PROFILE. + UNDERSTAND how to communicate your difference in a way that makes sense to potential customers. +IDENTIFY what colours resonate with and best represent your brand using simple colour psychology. +GET TO GRIPS with using fonts, patterns and photography in your Blog Brand. Stand Out so the people who need your help the most can easily find you. + IDENTIFY the photographic style of your Blog Brand and understand when and where images can be used within your brand. + LEARN how video can be used to supercharge your productivity & the best background, camera advice, poses styling and lighting to help you get started in video. + UNDERSTAND and incorporate a monthly, weekly and daily tracker. + Get CLEAR on what content you need and create a strategy for type of content to achieve your goals. + how to CREATE and use a content planner to be productive and keep track of achieving your goals. + Fully BRAND your online presence. Q - WILL I HAVE ACCESS TO WATCH IN MY OWN TIME AS WELL AS DURING THE LIVE TRAININGS? A - Yes sure! All of the trainings are recorded and uploaded to the members area for you to re watch as much as you like. Q - WHAT IF I WANT TO REVIST THE PROGRAM AT A LATER DATE? A - Not a problem! You have lifetime access to the members area so the program will be there for you to re visit as often as you want. QUESTIONS? NOT SURE THIS IS RIGHT FOR YOU?